According to our calendar, it’s about time to escape the melting streets of New York City and head into some hot, dry sunshine. But where to? Get all of your travel research done in one place this weekend: at the annual New York Times Travel show! 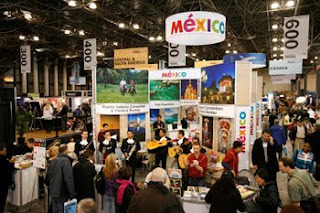 Explore over 500 destinations in over 150 nations as you visit with both travel specialists and domestic and international tourism boards throughout the Jacob K. Javits Convention Center. Plus, you’ll find great deals on destination packages, hotels, resorts and cruises that you can book on the spot!